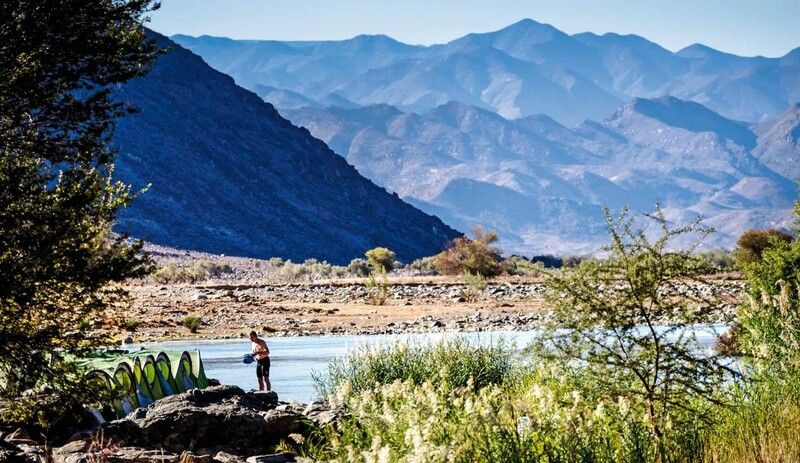 In the Richtersveld Transfrontier Park, the Orange River forms the border between South Africa and Namibia. 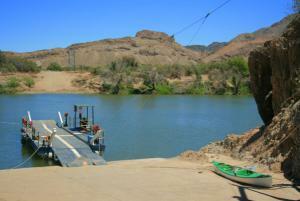 Fortunately your trip doesn’t have to end here; there’s a pontoon to ferry you across. Attached to an overhead cable as a safety precaution, the pontoon (or pont) weighs 16 tons and is driven by two 60hp outboards. It is a very simple system that can transport two vehicles or a vehicle towing a trailer/caravan to a maximum weight of 6 tons. 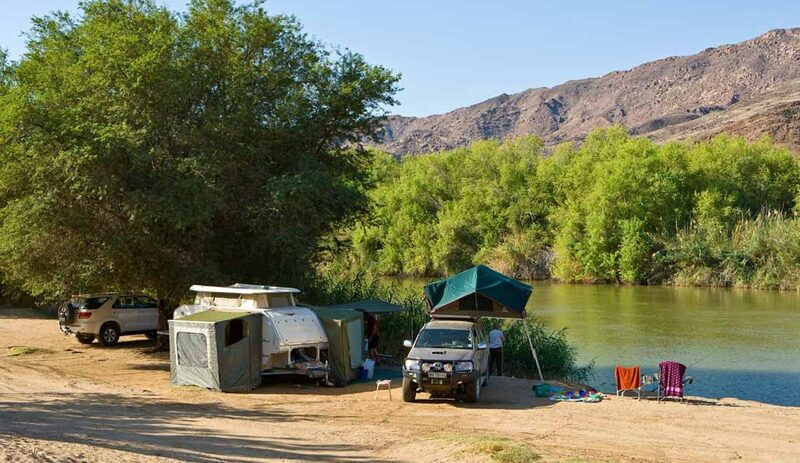 This is how you and your laden load get from one side of the Orange River to the other. On arrival at the border, make your way to the SANParks office for an ablution and refreshment stop. The deck overlooks the mighty vein of water amongst the stark landscape and you can get a good look at the pontoon. Purchase a transiting ticket at the SANParks office (which you present to the pont operator on boarding) prior to the completion of Immigration formalities. Both cash (Namibian or South African currency) and credit cards are accepted. The Immigration building is diagonally across from the SANParks office at Sendelingsdrift. It is arguably one of the most relaxed border control posts in Africa! Enjoy the simplicity of the process and the friendliness of the local officials. Once on the Namibian side after a fun pontoon experience, a quaint cottage-like building serves as the official Namibian border control point. 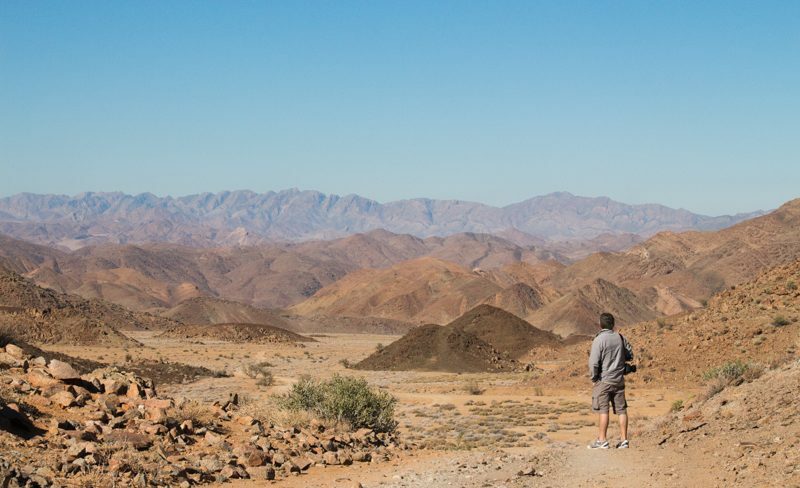 Get yourself stamped into the country, enjoying the lack of queues, and head on into the land of gemsbok, Welwitschia and Tafel Lager. The pontoon operates daily between 08:00 to 16:00 whenever there is a vehicle. Between flood season from December to April, it is advisable to phone a week in advance to find out if the pont is operating. SANParks usually get forewarning from the Department of Water Affairs and will be able to give you an accurate update. 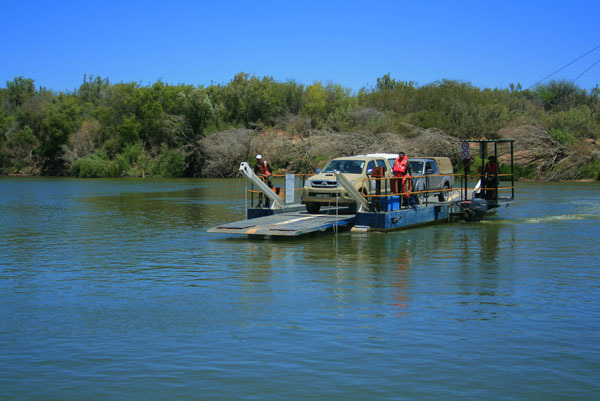 The pontoon is managed from the South African side and payment is done at the SANParks office. If you arrive from Namibia, the Immigration officer will call the pontoon operator to come collect you and your vehicle. Varies based on vehicle and number of passengers.